Natural Finish Stone Floor Sealer is a highly effective, non-colouring sealer that maintains and protects the natural look of interior stone flooring. Effective after just one coat on most surfaces, it is suitable for use on terracotta, slate, York stone, ceramic, marble and other similar types of porous stone and man-made flooring. Waterproof and stain resistant, it is ideal for use on both new and old stone. Suitable for use on York Stone, Slate, Terracotta and Quarry Tiles etc. Ensure the surface is clean and dry. 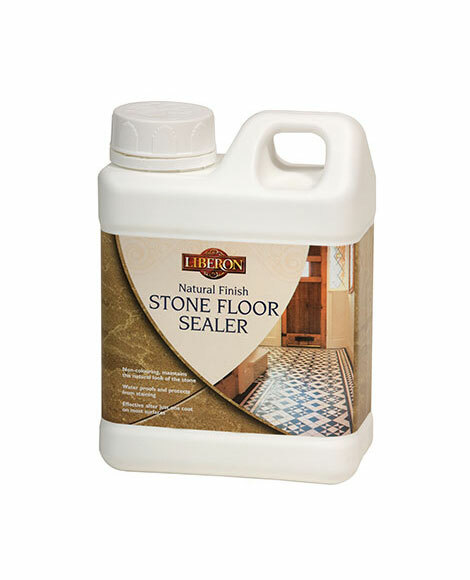 If necessary clean with Stone Floor Cleaner, rinse and allow to dry thoroughly before applying Stone Floor Sealer. 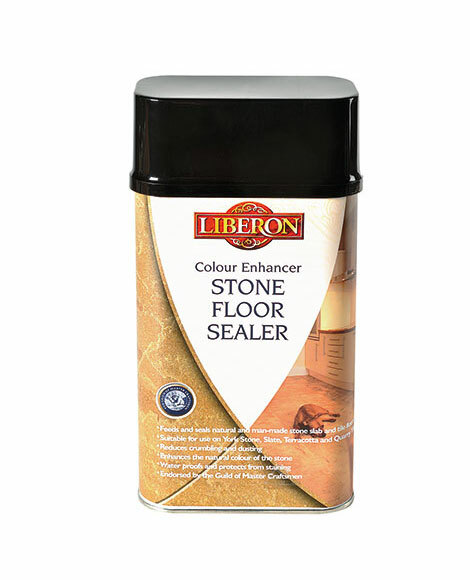 Apply Stone Floor Sealer generously with a paint brush and allow to dry for one hour. Check if the surface is properly sealed by dropping a small amount of water onto the surface. Leave for 10-15 minutes and if the water remains on the surface then enough sealer has been applied. If not, then further coats of sealer are required. Repeat application and testing until the surface is properly sealed. The number of coats required will depend upon the porosity of the stone. Allow the final coat of sealer to dry for 24 hours before use. If required, finish with either Stone Floor Wax or Stone Floor Shine for a more durable surface. Clean with Stone Floor Cleaner as and when required. Carry out the water drop test once a year and re-apply sealer as necessary.